It’s a “Tale as Old as Time,” now brought to life. It’s no secret that my family is anxiously awaiting the release of the new Beauty & the Beast live action film from Disney. It’s one of my favorites! We couldn’t wait to bring the Disney magic into our own home with a fun Beauty & the Beast inspired kids craft. 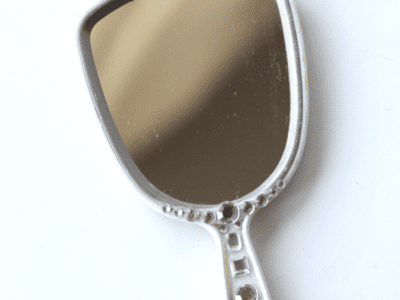 Grab your child and make this Easy Disney Beauty & the Beast Enchanted Mirror Craft, inspired by the newest live action Disney film. Plus, grab details on the newly released toys and exclusive sweepstakes for the whole family. I’m aiming for you, Valentine! 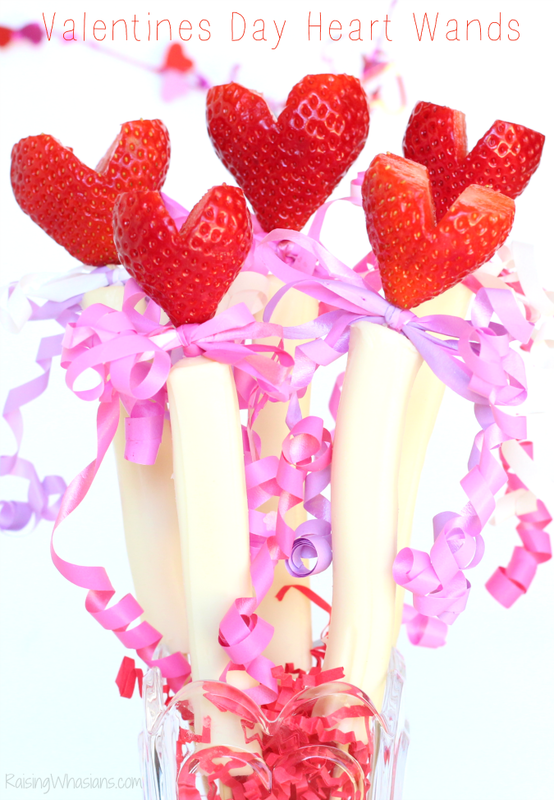 Valentine’s Day is just around the corner – do you have your Valentine ideas ready for your kids? 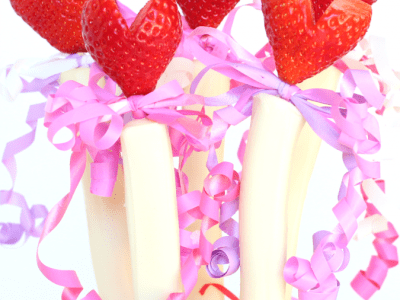 Well, if you’re looking for that creative DIY gift and snack idea that kids love, I have the perfect Valentine’s Day treat for you! 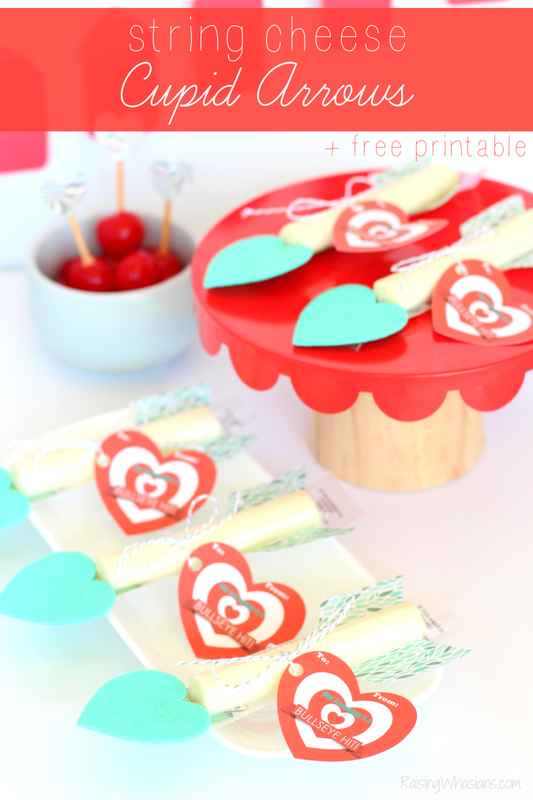 We made these adorable String Cheese Cupid Arrows as fun way to have your snack and eat it too for the holiday. 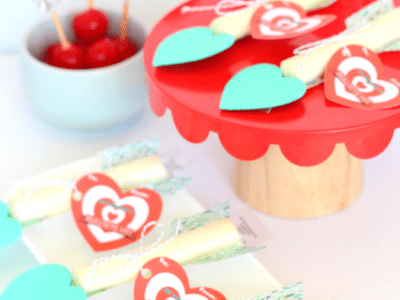 Find out how easy they are to make with Frigo® Cheese Heads® + grab an adorable Printable Bullseye Valentine to add to your Cupid Arrow! 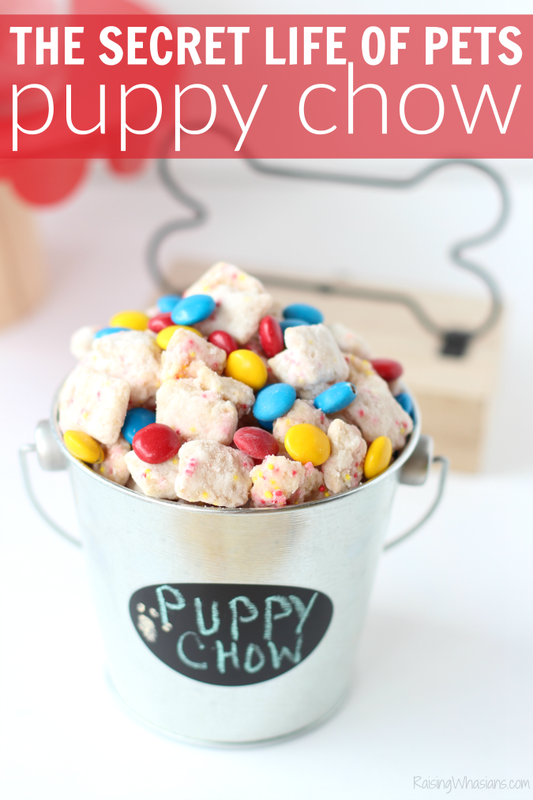 Grab the family for pet-inspired movie night party and a yummy The Secret Life of Pets Puppy Chow! This post is sponsored by Universal Pictures Home Entertainment. All family-fun opinions are my own. Puppy Chow. It’s that moment when you combine the crunchy goodness of cereal with the sweetness of powdered sugar into a delicious snack, then add two finger-licking children – it’s basically like owning pets, right? Speaking of pets, we’re celebrating The Secret Life of Pets coming home on Blu-ray & DVD on December 6 with a pet-approved movie party! 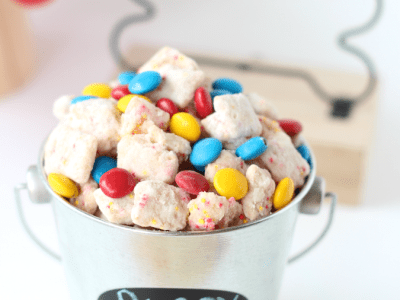 Grab ideas for your next pet-inspired family movie night plus this delicious The Secret Life of Pets Puppy Chow Recipe. Ready to have a doggone good time? He’s grown over 2 inches. He’s reading at a 5th grade level. And even the dental hygienist called him an “old soul.” At 8-years old, my son is one of the most amazing kids I have ever known. But sometimes I forget just how much he’s grown up. After many many months of asking, I can officially say that my son owns a real video game system. I’m kind of proud of that fact. We’ve have educational devices over the years, but this is the first time that we have invested in a portable game system purely for his love of video games. And it’s not just any gaming system. We have the all-new Nintendo 3DS XL portable game system. SWEET! But a new game system also includes new rules. 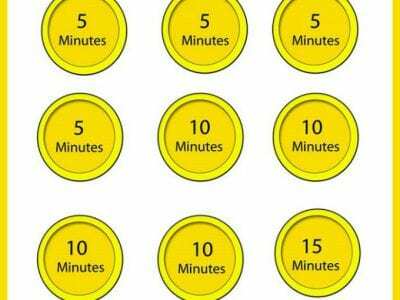 Find out how we are setting video game limits for this amazing new portable game system with these adorable Super Mario inspired printable rewards coins. Pumpkins give me the warm fuzzies. 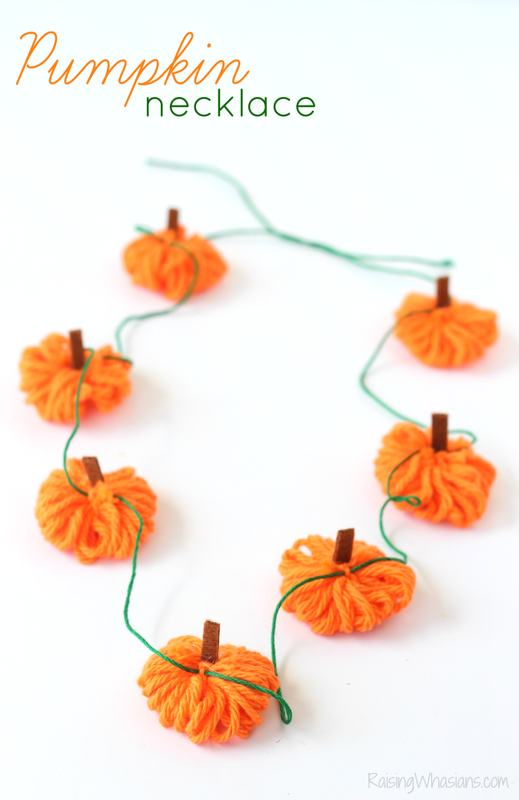 Literally – I’ve got warm fuzzies all over my house right now with this Easy Yarn Pumpkin Necklace Craft + Garland Idea! 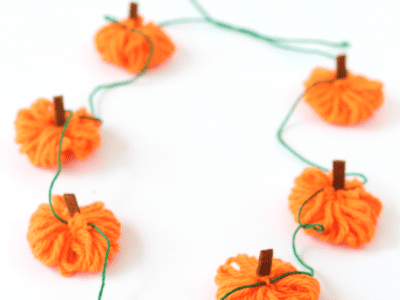 A sweet little fall craft that’s perfect for little hands, this easy pumpkin inspired craft will have your little one bursting with itty bitty pumpkin joy. I just know it. Grab your dinglehoppers for this one. Let’s craft some fall love together. Today is the Thursday-est Thursday. Those that know me well understand that Thursday and I don’t get along. Monday – It’s the start of the week. I feel motivated and energized. Tuesday & Wednesday – I’m plugging along, feeling accomplished, getting work done. In the zone! Friday – It’s the last day of the work week. I put my head down and focus on the weekend ahead. But Thursday…oh, Thursday. I’m somewhere between going stir crazy to pulling out my hair status. By Thursday I’m itching to get out of the house, far away from my computer and anything to do with blogging…much to my toddler’s delight. 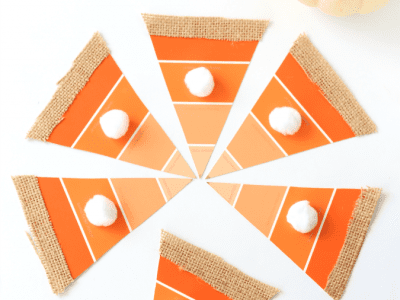 Today we ended up at Home Depot and the craft store – to where this Ombre Paint Chip Pumpkin Pie Craft came to be. BINGO. Good-bye Thursday-est Thursday. Taking my frown and turning it into something crafty, that’s where I thrive. 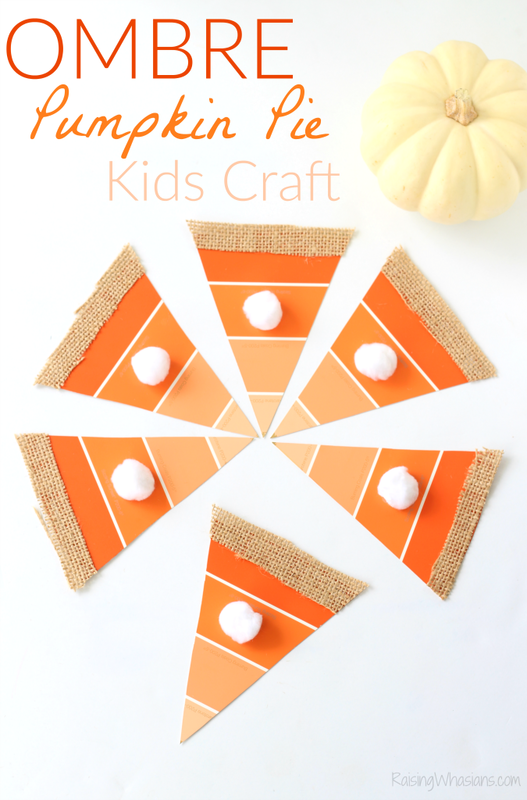 So my toddler and I made this adorable Pumpkin Pie kids craft to celebrate fall, Thanksgiving and everything deliciously pumpkin good. 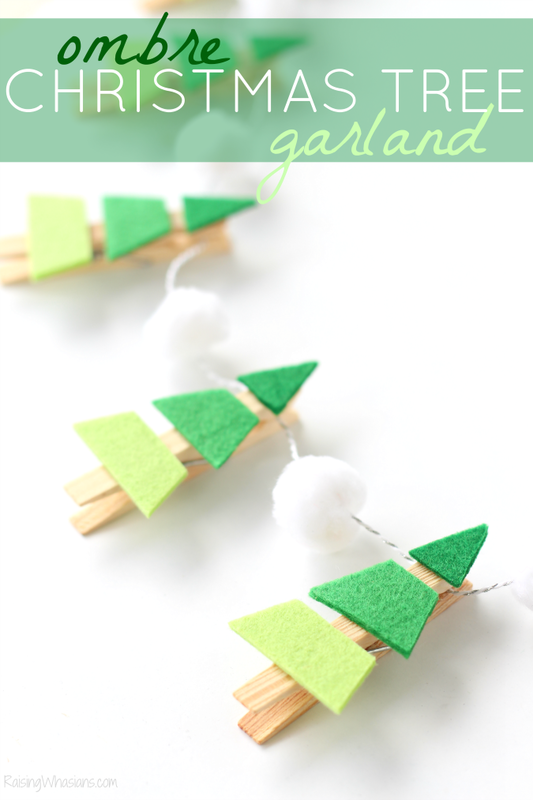 So in case you’re having the case of the Thursdays, come craft with us. 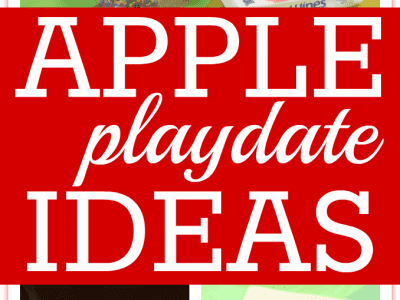 Welcome in fall with these Apple Playdate Ideas for Preschoolers. This post was sponsored by WaterWipes as part of an Ambassador Program for Influence Central and all opinions expressed in my post are my own. I received complimentary products to facilitate my review. It was a few days since Hurricane Hermine had left the building. And there it was – a surge of “cool” fall weather – or in Florida, a low in the 70s at night. With fall in the air, it was time to bring a little fall to our mom playgroup at church. 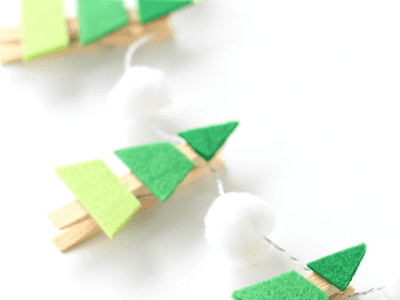 Grab your easy Apple Playdate Ideas for Preschoolers – from crafts to snacks – and bring a little fall fun to your kids this season. What mom has a bunch of wine corks hanging around, right? Me. Me. Me. And me. I’ve been “collecting” my wine corks all summer long. And while the fun-in-the-sun season may be over, I still have summer dreams in the head. (Hey, I live in Florida. It’s only natural.) 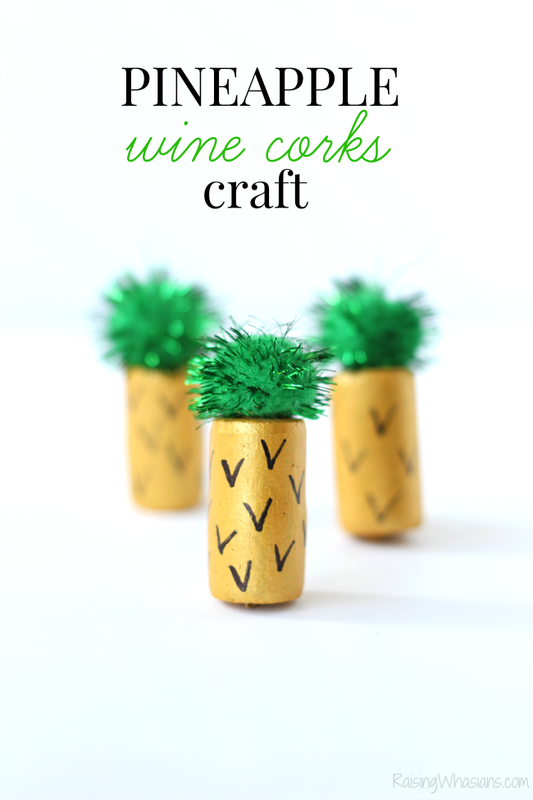 It’s time to put those empty wine corks to use with this DIY Pineapple Wine Cork Craft. 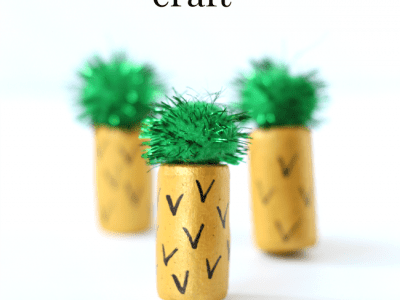 An easy and fun craft idea to keep your toddlers and preschoolers busy during the back-to-school season, these adorable wine corks are a fun way to keep summer on the brain. Ready to make some adorable mini pineapples? Yes, yes you are.